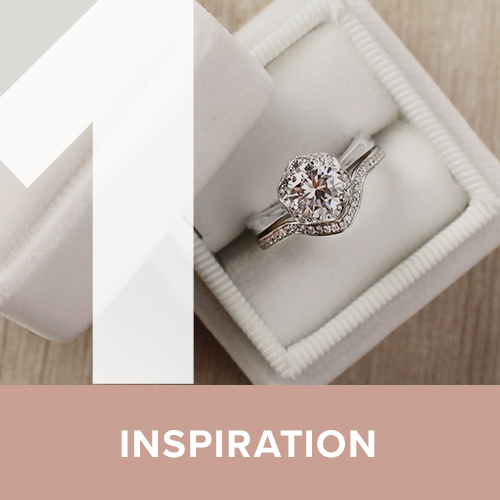 Changing a piece that already exists—whether from our sister company, Diamond Nexus, or elsewhere—is an easy way to design a piece because there is a concrete starting point, but it still requires some design decisions. 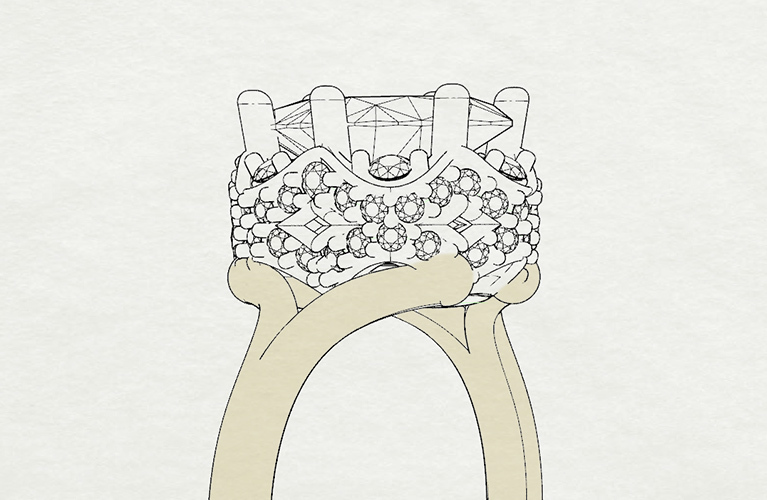 Changing the existing Nottingham design to accept a Marquise center stone was mathematically complex. 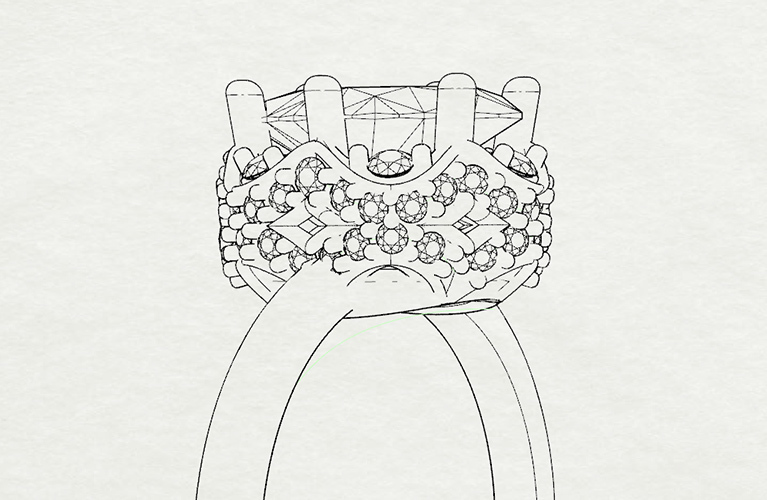 The length of the stone shape meant the scalloped side view might not work with a straight band. To address this, a split band was added. This resulted in a visually symmetrical and balanced piece. 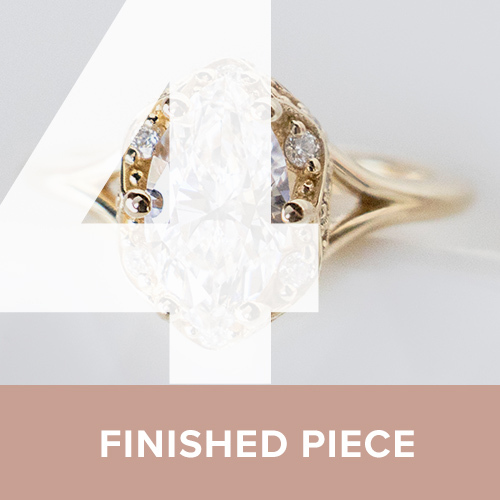 To accommodate the length of the Marquise cut, yet stay true to the detail of the original Nottingham, the scalloped metalwork could not be completely symmetrical all the way around. This is a departure from the original Nottingham design, but it was the only way to accommodate the marquise center. 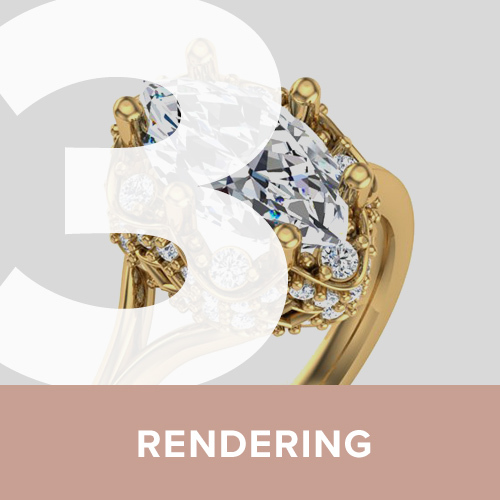 By making this change, the design could still be a very cohesive piece that plays off of the shape of the center stone. 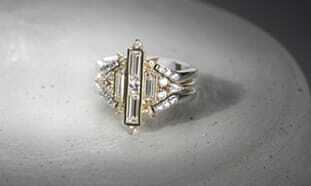 The finished ring is as accurate of a representation of the Nottingham as possible, with the new center stone design. Looking at it, the inspiration for the design is very clear. Want to see the surprise proposal? 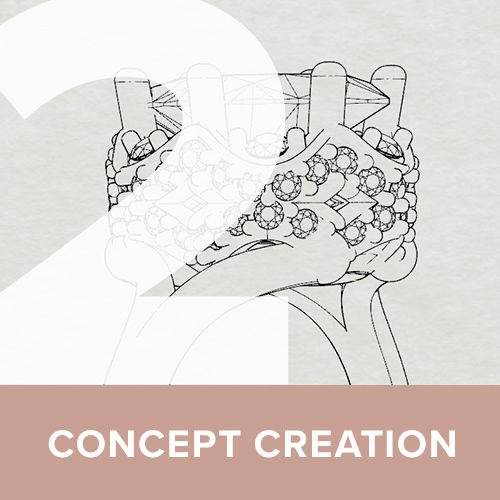 Check out Taylor & Rob's Design Story.